Tarte ‘Rainforest of the Sea’ Marine Boosting Mist – This was a product that came with a Tarte highlighting set Sebastian picked up for me in Sephora Singapore last year, and to be honest I was really surprised by how much I loved it. It somehow managed to hydrate my skin and make it look dewy and fresh with a couple of spritzes. It also smelled incredible, a fresh citrus scent that I found really uplifting. I will definitely be adding this to my list of things to buy when I’m wanting to treat myself. 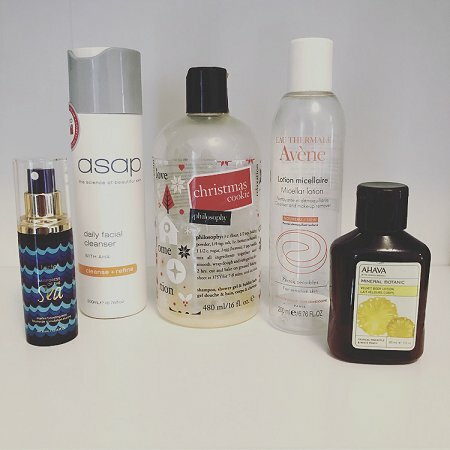 asap Daily Facial Cleanser (with AHA) – Because I stick to using Paula’s Choice and Dermalogica facial cleansers for the most part, I’ve had Sebastian use up a few bottles that were sitting unused in my beauty cupboard. This cleanser did the job well for him, and Sebastian has noticed that he prefers skincare that contains AHA (to help control his milia), so this was right up his alley. Philosophy Christmas Cookie Shower Gel – I purchased this as part of Sebastian’s Christmas present last year, and it was so tempting to steal this and use it all for myself. This smells incredible. If you are someone who loves vanilla/sweet scented products this is definitely for you. The Philosophy shower gels are always a pleasure to use, they lather up well, rinse off easily, and leave your skin smelling amazing. I would definitely repurchase this again – maybe as another little treat this Christmas? 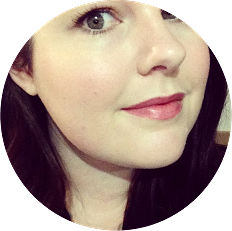 Avène Micellar Lotion – Random fact about this product, I picked it up in Bali a couple of years ago because I needed to break some change in a pharmacy and this looked like something I might want to try. I didn’t like this at all, it had an overwhelming rose fragrance to it and I felt like it wasn’t the best for my sensitive skin. Ahava Velvet Body Lotion in Tropical Pineapple & White Peach – This was a deluxe sample that came along with a skin care purchase I made a couple of years ago, and I finally made the effort to use it up. This was a really nice lotion that hydrated my skin without leaving too much of a residue. The smell was nice–fresh and fruity without being too sweet.